After having both of her knees replaced in 2010, Linda Tiller had a goal to walk the Susan G. Komen 5K Walk on October 8, 2011. When she initially started training for this event, she could barely walk five minutes on the treadmill. 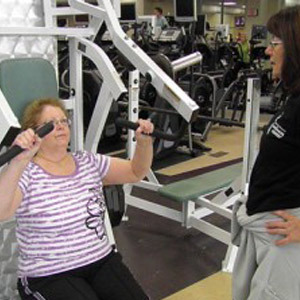 She decided to get help from herPersonal Trainer, Mary Hayes. 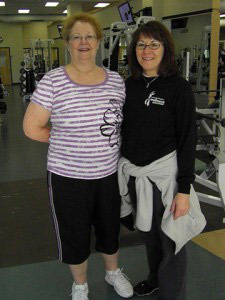 With Mary’s help, Linda was able to increase her stamina and strength. Before long, Linda was able to walk 10, 15, and then 20 minutes on the treadmill with Mary’s encouragement. Eventually, Linda was able to walk one mile! Finally, on October 8, 2011, Linda reached her goal of completing the Susan G. Komen 5K. She has gone on to walk around the Louisville Zoo, the Kentucky State Fair, and even Disney World! Linda credits her Personal Trainer, Mary Hayes, for being “so instrumental in convincing her that she can do so much more” than she thought she could! And for that, she is very grateful!